Here is some of the articles we have been reading this week. 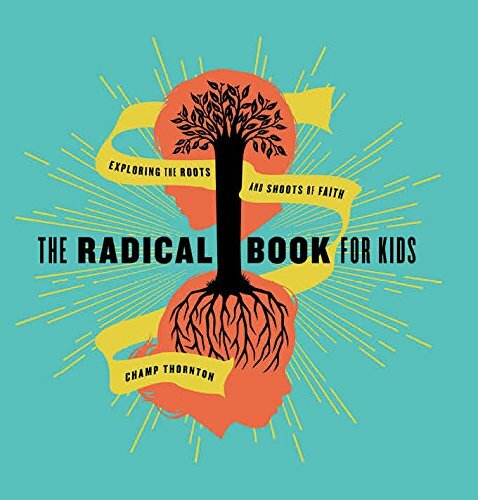 Champ Thornton, who wrote The Radical Book for Kids, wrote for the Gospel Coalition this week on How to Raise Radical Children. Champ wrote, "Why should we wait years to introduce our kids to theological treasures like the Trinity, the attributes of God, the storyline of the Bible, or union with Christ? Kids are brighter than we often realize. Even at a young age, they’re designed to absorb and interpret the world around them." Do yourself and your kids a favor and click on the link to add the The Radical Book to your cart today! Our friend Sam Luce wrote a blog about Pastors being Disciples. Sam wrote, "One of the dangers that can come from being a Pastor who is a leader is you forget or neglect the fact that you are first and foremost a disciple. Leadership is fun it can be very challenging but is many times rewarding because we look behind us and can count those following us and be encouraged by our weekly mini census. The problem with being a disciple is that it is not glamorous it is not visible. It is difficult and often times painful." Family Ministry leaders (not just pastors) are you being discipled? For those of you who are operating in a multi-site churches or multi-leadership contexts, Danny Franks, Connection Pastor at The Summit Church, wrote a blog about leadership structures. In his blog post entitled Multi-Site Ministries: Fences and Freedom writes, "if you’re a part of multi-anything, it helps to know a few things: who is calling the shots? Who is the decision maker? What is mandated? What is modeled? What can I do that won’t get me fired? If these questions aren’t answered, you’ll be on the giving or receiving end of confusion, frustration, anger, wasted energy, and burnout. So how do we start the conversation?" How do you answer these questions? I love comic books! When I saw Timothy Paul Jones post a blog about Culture: Comic-Book Heroes and Christian Worldview I had to read it. Timothy writes, "For many Christians, the temptation seems to be to engage in what I would identify as a “thin reading” of these cultural artifacts, hunting for surface-level connections between the Bible and our favorite superhero tales. Pastors who become caught up in such thin readings may construct entire sermon series out of the latest films or feel compelled to drop references to movies into their messages—all to achieve a perceived sense of relevance by linking Scripture to culture. This is not authentic cultural engagement, however. In most instances, it’s closer to uncritical cultural appropriation. Full-fledged Christian engagement with the culture digs deeper than surface-level links and wrestles with the conflicting worldviews that undergird these artistic artifacts." How are you wrestling with conflicting worldviews?